The Cloud Forest Reserve is an absolutely majestic place filled with lush and diverse vegetation, a myriad of bird species and unrivaled views. This zone is a paradise for eco-travelers and nature buffs looking to be blanketed by the wilderness. While in Monteverde, take advantage of some of the outstanding excursions in the area. Horseback ride through streams and over hillsides, which afford stunning views of the Gulf of Nicoya, or venture out on a rugged ATV tour. Discover the forest's nocturnal creatures on one of the night walks, led by an experienced guide. Also popular are the suspension bridges and zip lines that run through the rainforest canopy. 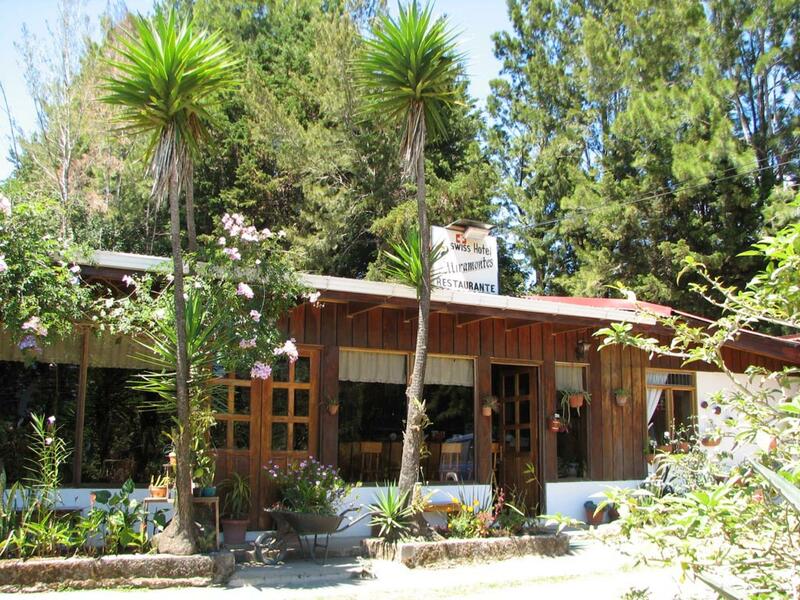 Hotel Miramontes is located on a quiet, sunny place outside of Santa Elena, surrounded by pine trees and a lovely orchid garden. The restaurant proudly serves local specialties, made with care, love and lots of experience. Guests will find 8 wood paneled rooms with a private bathroom and hot water giving you the warmth of a mountain lodge. There are also two separate Chalets with a porch, fan and two double beds, where you can relax after a long walk through the cloud forest. "As a Bed and Breakfast this is a charming facility. I expected more privacy and quiet. (My fault). The room was warm & comfortable at night in the mountains. The hot water shower was great. Great fresh egg breakfast in the morning. The grounds are lovely, and the owners are very accomodating. " As a Bed and Breakfast this is a charming facility. I expected more privacy and quiet. (My fault). The room was warm & comfortable at night in the mountains. The hot water shower was great. Great fresh egg breakfast in the morning. The grounds are lovely, and the owners are very accomodating.